I am totally wow-ed by this. Just so creative and beautiful! Good luck in the challenge! Lovely! The double wedding ring inspiration is clearly visible but the improv piecing makes it very modern. Great interpretation. I also planned to make a quilt for this challenge and I do have an idea but I haven’t even started cutting fabric, so I’m not so sure whether I’ll be able to finish it in time. Probably not…. This is amazing Natalie! So much to love about this. I love these! Good luck in the competition. These are really beautiful! 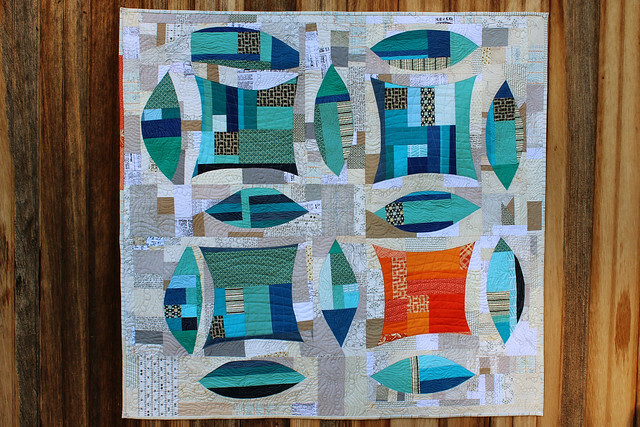 I admire anyone who can make a beautiful improv quilt. I have tried, and it’s very hard for me, but I think they can be so amazing. I think you’ve got improv at its finest here. I love love love your deconstructed improv double wedding ring. It’s brilliant and inspiring. And the colours are just fantastic too. I really do love everything about it. Brava! Great quilt! What a transformation from DWR. I am so glad to see that you look the improvisation route. 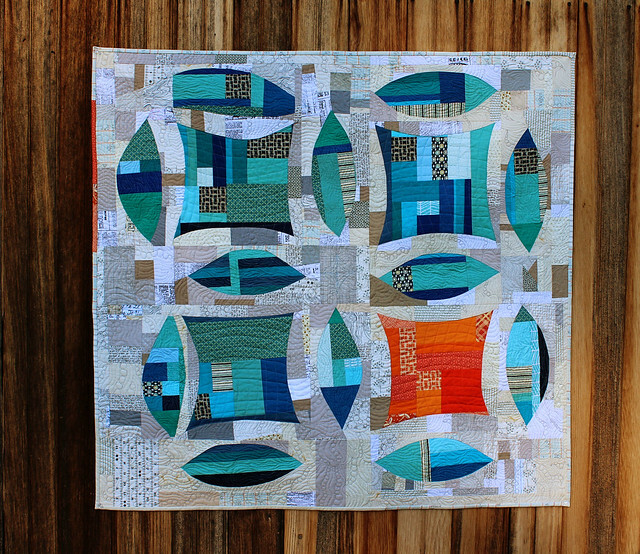 Your quilting is totally awesome! Very complementary to the improv piecing. Wow…just love both DWRs but particularly the first one. I like it! 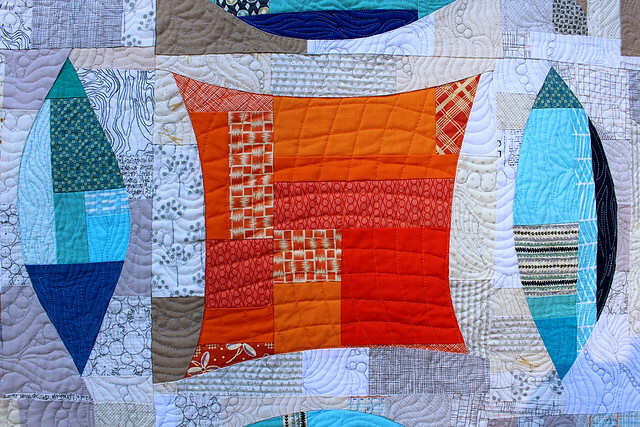 I normally find tradition double wedding ring quilts pretty boring to look at, but I love your scrappy, negative-spacey, wonky double wedding ring quilt, with a pop of orange to really set it off. Great job! I feel the same way about improv! What you’ve created is so unique because of it. I love everything about this piece! I can see how much work went into to it as well, so congratulations. 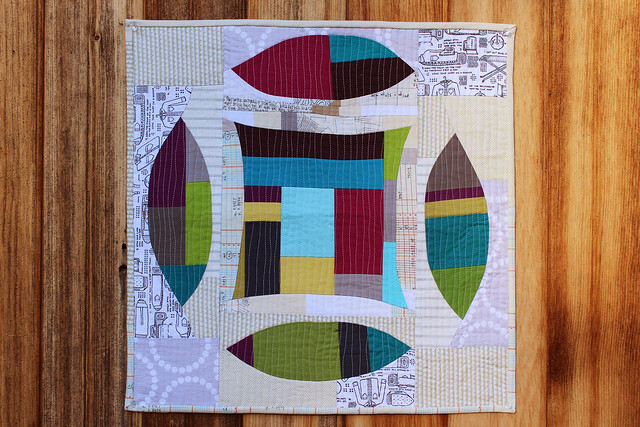 Love this improv quilt. Nice splash of Red!!!! Those are amazing, Natalie! Good luck in the Challenge! Wow, these are fantastic! Happy Thanksgiving and best wishes with the DWR Challenge! What a great quilt, Natalie! You’ve definitely pushed the limits here and stretched yourself, which I know is a rewarding experience. It’s beautiful! Awesome Natalie! This looks like a lot of work and is a standout within the other entries. Good luck! Love the colors too bytheway. This is sooo amazing….I love it!! Wonderful interpretation of Double Wedding Ring! Fresh and innovative. 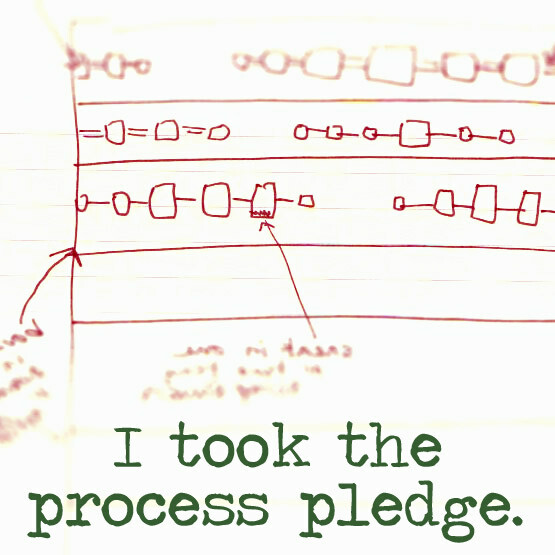 on November 29, 2013 at 9:19 pm | Reply Erin M.
Love it! So glad you shared it with us. It is inspiration. Gorgeous! I wish I had taken an improv route. on December 1, 2013 at 1:32 pm | Reply What comes next? beautiful! 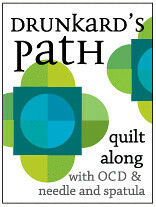 I love the quilting on the first one – just gorgeous. but the curvy lines also suit the smaller, simpler version excellent play time projects! 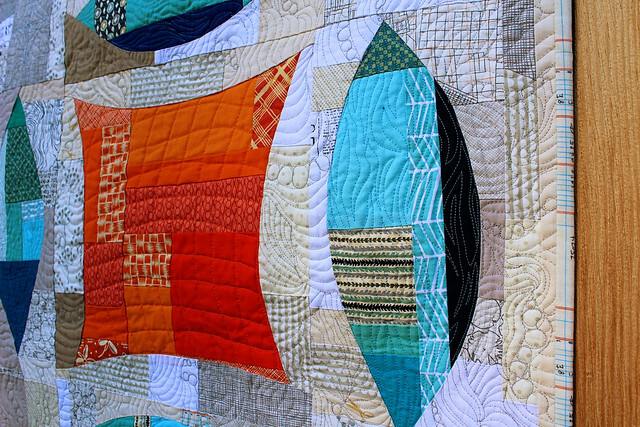 These quilts are totally amazing! I love the abstracted double wedding ring! It’s such a unique twist for a classic design! Everything about these are perfect from the fabric choices to the quilting, I am in awe! They look to me like abstract works of art that one can completely immerse oneself in! Very liberating inspiration! This is one of the most visually stunning quilts I have ever seen…………… you simply nailed all the design elements and then some. Congrats on creating a fantastic piece of fine art!!! LOVE, LOVE, LOVE!!! I’ve always wanted to make a double wedding ring, but have wanted to do so with a twist. 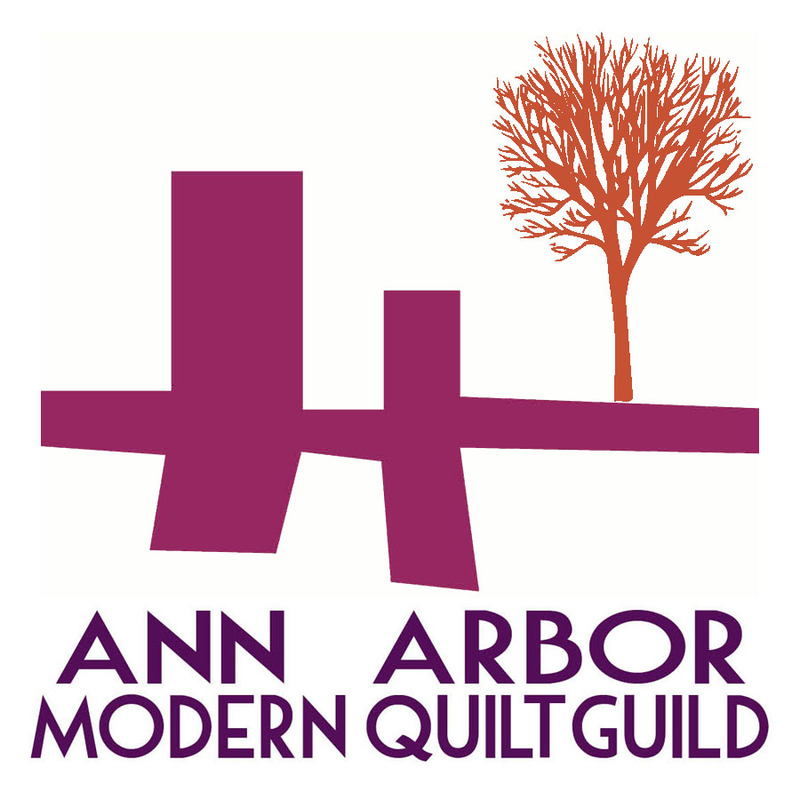 Seeing your awesome quilts is wonderful inspiration. I hope I get to see them in person sometime soon! Wow, this is so awesome!!! 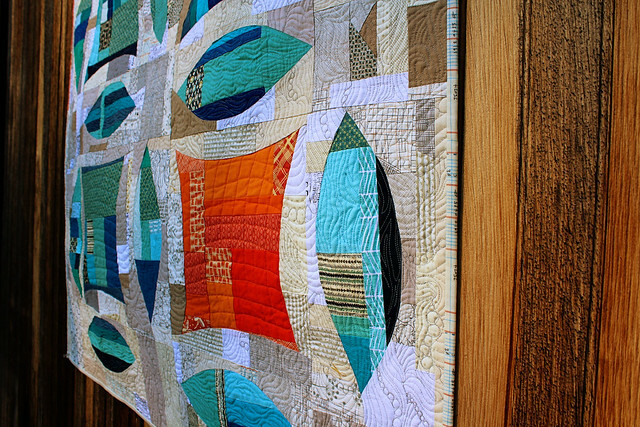 I love that aqua and orange color scheme and your quilting is amazing. Beyond the excellent workmanship, I love how you’ve pushed the boundaries to make this oh, so traditional block totally modern:-) Love it!!! I love this Natalie!! 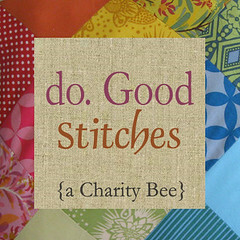 The design is so original and inspiring and the quilting is amazing. Wowzers lady!! These are both awesome!!! I was browsing the Small category of the DWR Challenge and fell in love with yours. When I clicked the link to your blog post, I realized you also made one for the Modern category (you need to check the link for the winners if you haven’t already!) Your pieces are very inspiring! on December 15, 2013 at 10:14 pm | Reply Caitlin T.
This is so gorgeous! You’re such a talented lady, Natalie! Well done…on this occasion am fully justified in leaving a second comment! Congratulations on the win, Natalie! You go girl! Beautiful modern rendition of the wedding ring!!! Such a fantastic quilt. 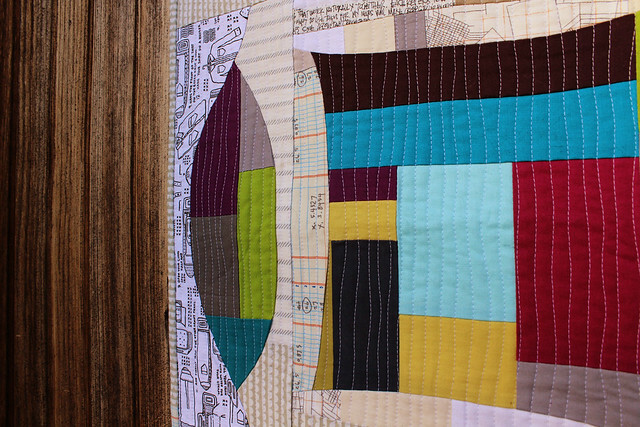 Love everything about it – the improv design, the colors, and the quilting! Amazing work! These are both incredibly beautiful. 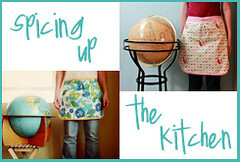 I’ve just discovered your blog and I love it! Your improv double wedding ring is awesome! 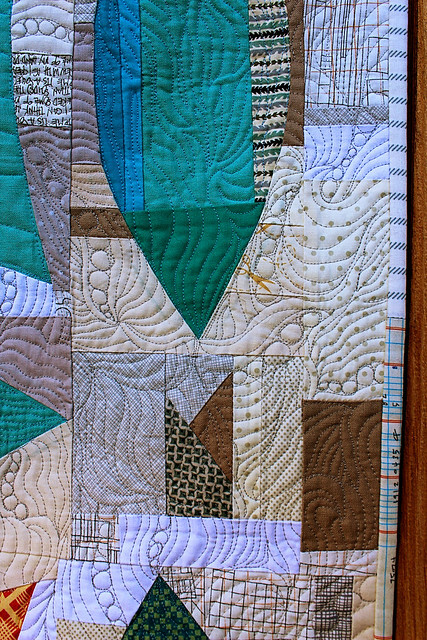 Love the different quilting designs. 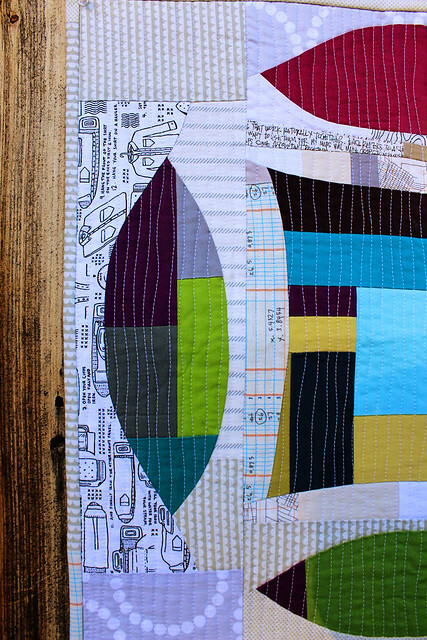 The quilting just does so much to really push this quilt higher.